Accessory connector for the Victron Bluesmart IP65 range of chargers. This connector features M6 eyelets for connection to the battery and an in-line, splash-proof fuse holder fitted with a 30A standard blade (ATO) fuse for protection against accidental shorts. 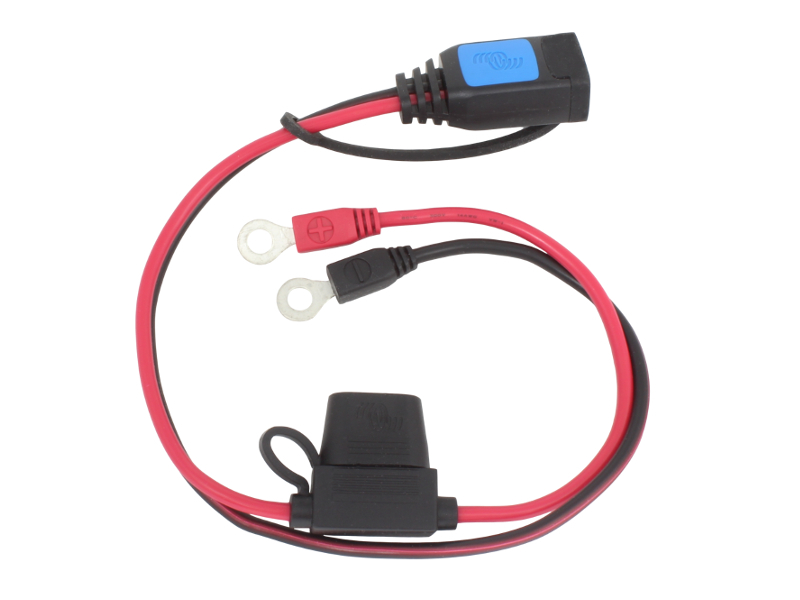 This connector is useful if you have a hard-to-reach battery as you can leave the eyelets permanently connected to the battery and just plug the charger into the connector when required. It's also a good option if you need M6 eyelets for your battery connections rather than the M8 eyelets that come as standard with the IP65 chargers.